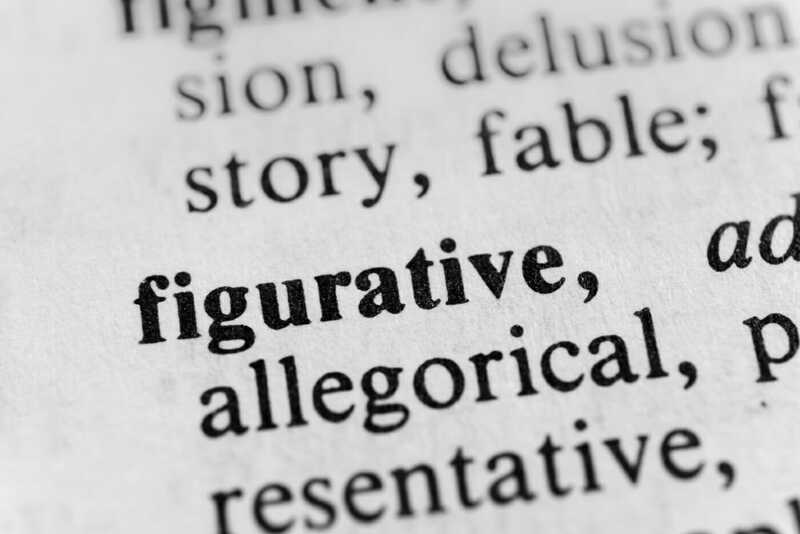 Figurative language refers to a language that deviates from the conventional work order and meaning in order to convey a complicated meaning, colorful writing, clarity, or evocative comparison. It uses an ordinary sentence to refer to something without directly stating it. Understanding figurative language is an important part of reading the Management Discussion and Analysis (MD&A)What is MD&A?The Management Discussions and Analysis (MD&A) is a section of the annual report or SEC filing 10-K that provides an overview of how the company performed in the prior period, its current financial condition, and management's future projections., where management may use a metaphor to help explain complicated concepts or directions that the company is taking. Fiction writers use figurative language to engage their audience using a more creative tone that provokes thinking and sometimes humor. It makes fiction writing more interesting and dramatic than the literal language that uses words to refer to statements of fact. A simile is a figure of speech that compares two unlike things and uses the words “like” or “as” and are commonly used in everyday communicationCommunicationBeing able to communicate effectively is one of the most important life skills to learn. Communication is defined as transferring information to produce greater understanding. It can be done vocally (through verbal exchanges), through written media (books, websites, and magazines), visually (using graphs, charts, and maps) or non-verbally. A simile is used with the aim of sparking an interesting connection in the reader’s mind. An example of a metaphor is, “The cat sat in the chair like a king overlooking his kingdom.” The cat sitting posture is compared to that of a king who relaxes in a special chair that is reserved for him and not any other person in the kingdom. The boy was as brave as a lion in the jungle. The assistant was as busy as a bee when she was preparing the podium for the presidential address. The new teacher is as tall as a giraffe. The new neighbor is as curious as a cat; nothing escapes her attention. A metaphor is a statement that compares two things that are not alike. Unlike similes, metaphors do not use the words “like” or “as.” Such statements only make sense when the reader understand the connection between the two things being compared. An example of a popular metaphor is “Time is money.” The statement compares between time and money, and it does not literally mean that the amount of time you have equals the money that you have. Instead, it means that time is a valuable resource, and it should be used effectively to earn money. Any time wasted means that a person loses the chance to make more money. The warrior has a heart of stone. Baby, you are my sunshine. Chaos is a friend of the legislator. I am drowning in a sea of grief. My roommate is going through a rollercoaster of emotions. Hyperbole is an exaggeration that is created to emphasize a point or bring out a sense of humor. It is often used in everyday conversationsPublic SpeakingPublic speaking, also called oratory or oration, is the process of communicating information to a live audience. The type of information communicated is deliberately structured to inform, persuade, and entertain. Great public speaking consists of three components: Style: Masterfully constructed by using words to create without the speaker noticing it. The exaggeration is so outrageous that no one would believe that it is true. It used to add depth and color to a character. An example of hyperbole is, “I would die for you.” The sentence does not mean that one person is willing to die for the other, but it used to exaggerate the amount of love that one person has for another person. Death is only used to show the extent of the affection. I have told you a million times to wash the dishes. You are so slender that the wind can carry you away. The afternoon is too bright that the sun would have to wear sunglasses. You snore like a freight train. Personification is a type of figurative language that gives human habits to non-living objects. Using personification affects the way readers imagine things, and it sparks an interest in the subject. An example of personification is, “The sun greeted me when I woke up in the morning.” The sun is a non-human object but has been given human characteristics, since greetings can only be performed by living creatures. April is the cruelest month of the year. The radio stared at me. The car brakes screamed all through the journey. Synecdoche is a type of figurative language that uses one part to refer to the whole, or the whole to refer to the part. For example, a set of wheels can be used to refer to a vehicle and a suit to refer to a businessmanFinancial Modeling For Business Owners And Entrepreneurs. When referring to a car as a set of wheels, the wheels are only a part of the car and not the whole thing. Similarly, a typical businessman wears a suit alongside other accessories like a watch and briefcase. The fireplace heater hissed and cracked. The truck engine roared as it climbed the hill. The alarm clock buzzed at the time I was going to the bathroom. Negotiation TacticsNegotiation TacticsNegotiation is a dialogue between one or more people with the aim of reaching a consensus over an issue or issues where conflict exists. Good negotiation tactics are important for negotiating parties to know in order for their side to win or create a win-win situation for both parties.